Biogeochemistry, chemical oceanography, geomicrobiology and biogeochemistry of the deep ocean and the deep biosphere. Dr. Fang’s teaching emphasizes: (1) innovation in course contents and curriculum development; and (2) academic stimulation through problem-solving and critical thinking. 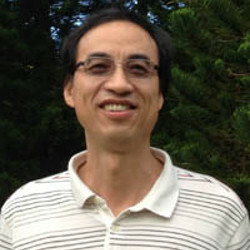 He teaches courses in general chemistry, hydrogeology, oceanography, and special topics related to students’ research. 2014-2015: Developing a sensitive GC-MS method for the analysis of dipicolinic acid and quantifying bacterial endospores in deep marine subsurface sediment, by the Deep Life Community. 2013-2016 MRI: Acquisition of a Dionex accelerated solvent extractor for biogeochemistry, toxicology, and marine science research at Hawaii Pacific University. 2012-2013 Isolate piezophilic bacteria from the deeply buried Shimokita coalbed and determine stable carbon isotope biogeochemistry of the piezophiles. 2009-2010 Assessing historical changes in the Kawainui Marsh ecosystem: A biogeochemical and paleoecological approach, by the University of Hawaii Sea Grant. 2008-2009 MRI: Gas chromatograph-mass spectrometer for marine chemistry and lipid biogeochemistry research at Hawaii Pacific University, by National Science Foundation.